Heidi’s way, way younger than me and her badassery that night was the stuff of legends. The only thing I regret is we can’t all get together twenty-five times a year. The reason I mention this is three-fold. First, all the Bluewater Bay series books are interconnected, so when Healey Holly realizes he can’t stay in the apartment over the garage anymore, he has to go to the Burnt Toast B & B…and you can find out more about the place in Heidi and Rachel Haimowitz’s book, The Burnt Toast B&B! “After breaking his arm on set, Wolf’s Landing stuntman Ginsberg Sloan finds himself temporarily out of work. Luckily, Bluewater Bay’s worst B&B has cheap long-term rates, and Ginsberg’s not too proud to take advantage of them. I really wanted to go to the Writer’s Police Academy again this year. Last year was so much fun. I did sign up, and I did have classes arranged and everything, but I am really sad to say I have a very sick dog and cannot go. Many of you know that at the last Writer’s Police Academy, I watched a demonstration of K-9 officer training, and while I was there, I fell in love with German Shepherds again. We had a GSD growing up, and I never realized how much I wanted to find a GSD to love until I met Ledger. So here he is. He is a rescue, an elder statesman, and a really sweet boy. While we’ve been together, I’ve learned the most important thing about German Shepherd Dogs: They choose a person and stick to them like glue. They are, in fact, a little bit clingy. Like big, furry skirts, they swirl around your ankles everywhere you go, even if it’s only two feet. Back and forth. Sink to stove. Bed to bath. They follow. Everywhere. And I don’t mind. Except when they’re sick they will not leave their “support bi-ped’s” side. And they do not appreciate being left. But we found out that Ledger is actually older than anyone realized. They thought he was about 8, but X-rays show he’s probably over ten now. He’s has had a very difficult life. 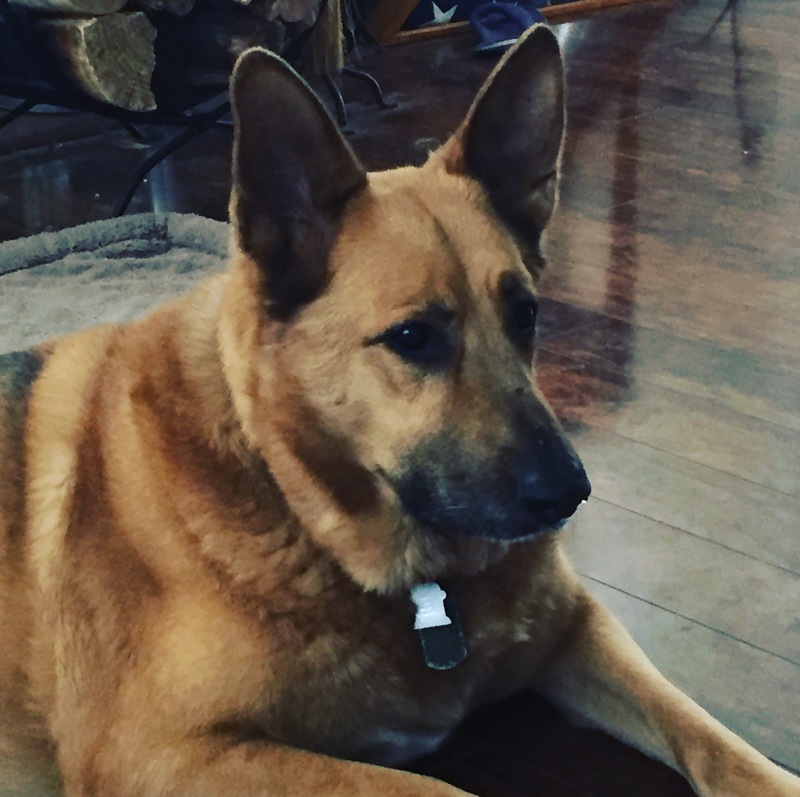 It’s always tough for older GSDs because they develop a number of issues due to bad breeding practices–things that make their final years especially difficult, like hip dysplasia. None of which would stop me from adopting him all over again tomorrow. I love my dog. Most of the time, he enjoys sitting by my feet while I work. Or he sits by the pool while I float. Unlike Pepper, our Lab, Ledger dislikes the sun, so he sits in the shade. He gets up and walks over when I float his way to say hello. Animals make us into better people. I hope I’m doing a good job of seeing to it that he doesn’t suffer unduly. The kids are all sad, but we’re philosophical. One does what one can. At any rate, this is why I won’t be going to the Writer’s Police Academy, the family affair that started with Frantz, the K-9 officer, will probably be ending for me and Ledger pretty soon. But Ledger’s the dog of my heart, and we got some great time together. Adopting senior dogs is tough, but so worthwhile. Please give your pets an extra hug for me and until we meet again, be well. Writing is especially weird if you have some kind of real life you need to live while you’re doing it. Don’t get me wrong! Writing is still the best damn job a girl can do in her pajamas. I want to go to work, every single day, (almost). As long as I can make my living, even if it’s not quite as flashy as fictional author Rick Castle’s living, I am perfectly, justifiably, content. But case in point, I’m editing the third novel in the vampire series I started back in 2009. I wrote the first two books for MLR Press. They were titled Notturno and Vigil, and I was to follow up with a third, Matins. Cue REAL LIFE. Actually, painfully, cue the grim reaper. It’s not a secret I was in the process of writing the second book, Vigil, when my mother passed away. Something about the book, or the universe I set it in, or the woman I was then–the optimist, the mother of elementary school kids, the daughter who lost her lifelong best friend and became an orphan in one day–created a barrier between me and those books I couldn’t get past for a long time. 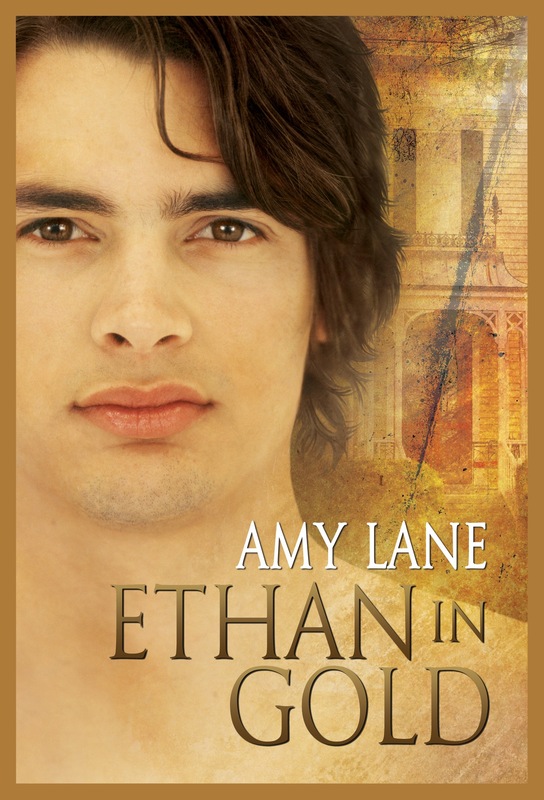 I back-burnered the third book in the Hours series, I shelved the universe, and I put Adin and Donte away because I simply wasn’t the same woman who wrote them. And I could pull them back out–rescue them from that place of dustballs and sadness–because I realized am never going to be that same woman again. And that’s why writing is weird. At the same time writers are gorging on this big old crazy world buffet and trying to make sense out of it, they’re also required to be inside the drama, interacting with it, or simply reacting to it. You don’t get a time-out from the job of being a writer, even if you step away from the computer, put down the journal, and walk away from any kind of recording device. Because it’s all still there inside your head. The author who starts a book on day one isn’t even the same author who continues writing the book ten days later. The author who writes book one of a series is a wholly different person than the author who pens book seven. 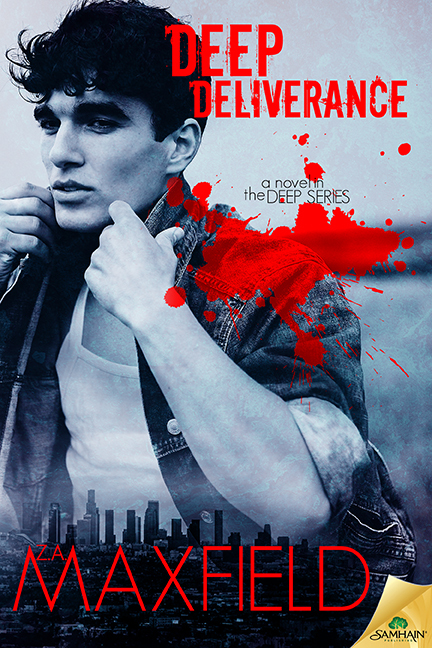 Stay tuned for Deep Deliverance, coming out March 30th, 2016 from Samhain Publishing. Wisconsin weather could NOT have been more lovely, and I found myself wanting to look for real estate in the Fox Valley. After all, we’re in a decades long drought in California, and when I saw all that green–green trees, green grass, green, green, green, I fell instantly and irrevocably in love. I’ve always loved Wisconsin because that’s the great state that produced Mr. ZAM, so I of course, I had to get my cheese curds and my Packer Backer T-shirts and my Bucky Badger sweatshirt. Fox Valley Technical College has to be the most exciting place for the kids who go there. They have a whole fake village, complete with motels, bars, banks, and an actual airplane in which to experience these dramatic rescue and criminal apprehension scenarios. So much thought was put into this little school, it’s truly, truly a gem. I’d love it if my kid, the one who wants to be a firefighter, could go there. The only problem I had was an iffy ankle (that I had to walk on constantly) and the fear that I wouldn’t know anyone when I got there! But on the very first day, I found Piper Vaughn, and on the second, I found Jamie Lynn Miller and J.D. Ruskin! Could I have been more lucky? I got to see my M/M cohorts there! At any rate, I had a wonderful, wonderful time. A huge thank you to everyone who worked so hard to make that happen, especially Lee Lofland, Joe Lefevre and those amazing Sisters In Crime! I hope someday, once I’ve taken all this to heart, I’ll write a great scene with accurate technical details and make all of you proud. Or maybe I can simply keep some of you from tearing your hair out! I’m back at home now, but plot bunnies seem to be boiling out of the woodwork! Yes, those are my feet, I was too lazy to get up and take the shot, but in my defense, I didn’t know how long Zack would stand behind the tree, holding that pose. 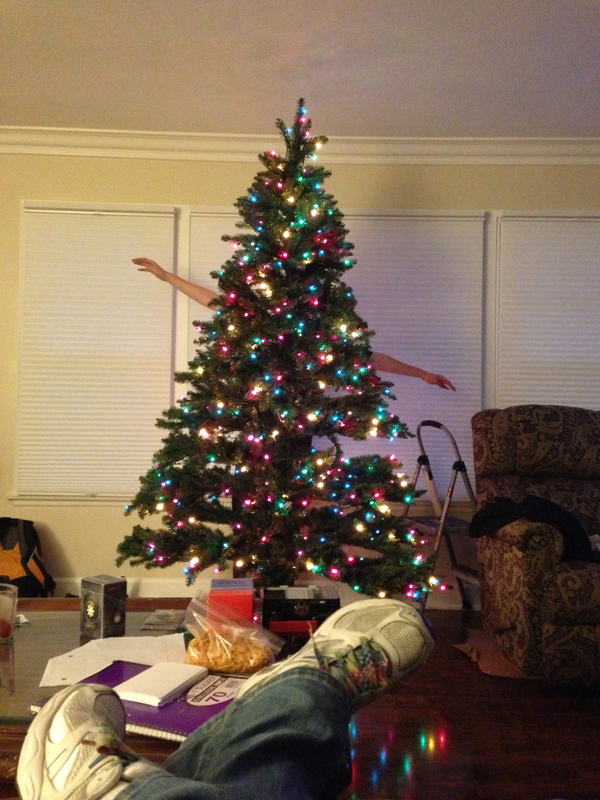 As an aside, when I messaged this picture to my daughter, she simply assumed we’d gotten a tree with arms. What’s your favorite Christmas song? Although I’ve gone “Walking In A Winter Wonderland” once or twice, snow has been pretty scarce in my life, and so I enjoy the winter themed carols, the ones with snow and snowmen and sleigh bells glistening. 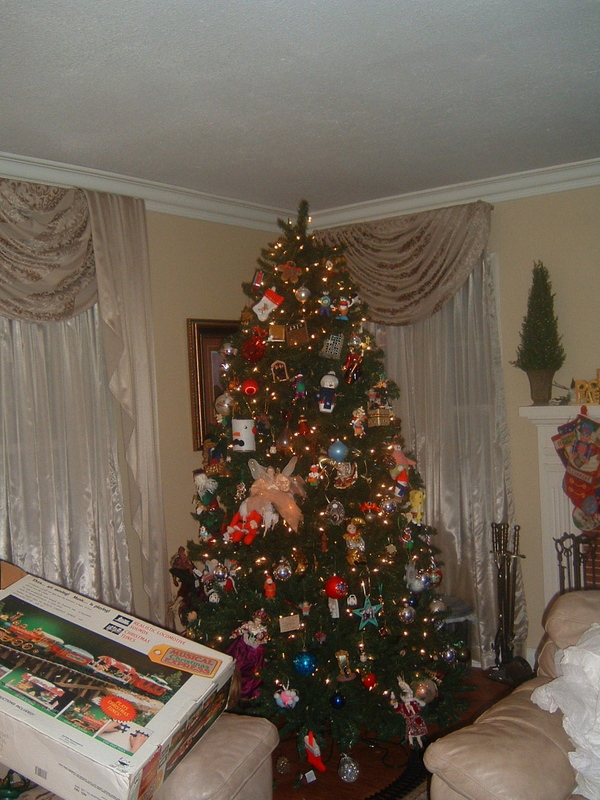 I also enjoy the strictly sacred music of the holidays. I love the contemplative nature of Gregorian chants and the frisson of something otherworldly devotional music brings, even without having an understanding of the words. (Except after all those years of studying Italian, Spanish, and French, it’s kind of hard not to get hit with the gist of things in latin.) While I enjoy the perfectly pronounced versions produced by churches and famous choirs, I enjoy this version of the carol “Gaudete”, recorded by Steeleye Span during their 35th anniversary tour. I have had a major voice crush on Maddy Prior for 35 years, and I doubt I’ll ever get over it.